REUTERS/Shannon StapletonU.S. 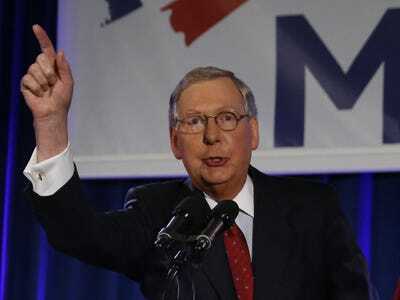 Senate Minority Leader Mitch McConnell (R-KY) addresses supporters at his midterm election night victory rally in Louisville, Kentucky, November 4, 2014. Editor’s note: An earlier version of this post was published on Nov. 3. 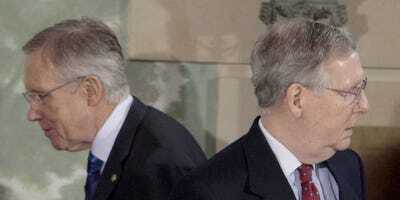 Republicans will adopt a combative but strategic approach toward governing now that they have swept to control of both chambers of the US Congress, top GOP lawmakers and aides have told Business Insider over the past month. 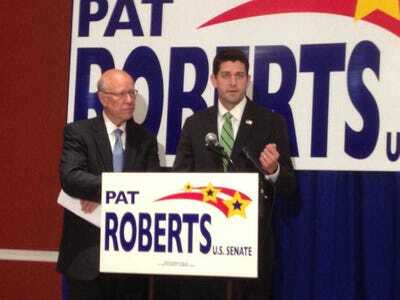 They will also aim to show they are the party best able to run the country. “We want to demonstrate a kind of competence that Harry Reid has not,” a senior Republican Senate aide told Business Insider, referring to Senate Majority Leader Harry Reid. Senate Minority Leader Mitch McConnell, who won his race by a whopping 16 points Tuesday night, is expected to become the next Senate Majority Leader in a Senate that will likely be controlled by a 54-46 GOP majority after a runoff election in Louisiana next month. Republicans also expanded their majority in the House of Representatives, picking up at least 14 seats with 16 races still hanging in the balance. As it stands now, Republicans hold a 243-176 House majority. Reid released a statement congratulating McConnell on his expected promotion Tuesday night. But some of the immediate legislative priorities that Republicans will look to act on include items where the parties have been unable to compromise. They include passage of the Keystone XL Pipeline — which the Obama administration has delayed several times over the past three years — chipping away at the Affordable Care Act, and corporate-tax reform. The goal is to force Obama to make decisions on popular bills, putting him in a corner where he will have to either veto legislation or begrudgingly accept it without the “firewall” of a Democratic Senate. 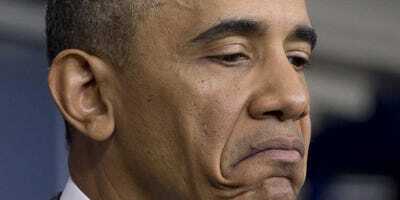 Obama has vetoed only two bills during his first six years in office, the fewest since President James Garfield’s brief, one-year tenure. A full-repeal bill would certainly prompt a presidential veto. One item Republican House and Senate aides think is likely to make it to Obama’s desk — and potentially get his signature — is a bill to repeal Obamacare’s tax on medical devices. A similar amendment, championed by Sen. Orrin Hatch (R-Utah), who is in line to become the next chair of the Senate Finance Committee, passed by a 79-20 vote in 2013. Republicans could also take aim at so-called risk corridors in the health law, a potential fight that some Republican senators have already begun discussing as part of a potential shutdown fight. But Republicans have charged the program amounts to a “bailout” for insurance companies, and a bill targeting the provision is something they think could attract Democratic votes. One of the GOP’s first orders of business, should it win the Senate, may well be mounting a united front to oppose any Obama administration-led deal on Iran’s nuclear program. Such a move could win the backing of a decent amount of Democrats. But a GOP Senate could also help jump-start a key part of Obama’s foreign-policy agenda, where he has run into a roadblock from his own party. 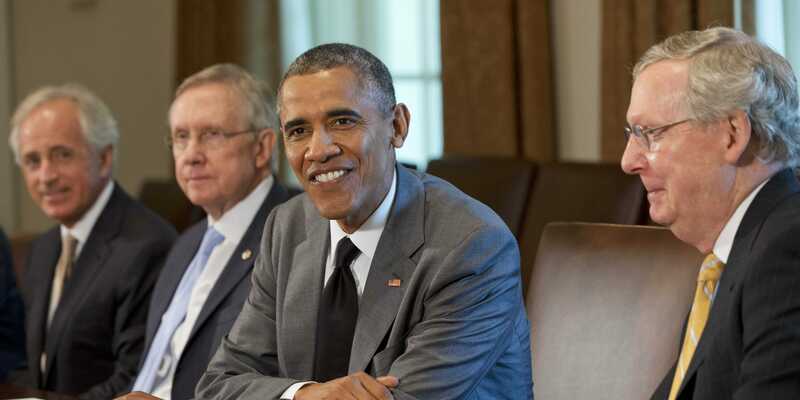 The big obstacle to Obama’s ambitious trade agenda has so far been Harry Reid. Obama needs Congress to pass a special authority for him to fast-track certain trade deals that Congress can either accept or reject, but cannot change. Reid has not allowed a vote on fast-track legislation, and Democrats generally fear expanded trade could cost American jobs and have a negative effect on global wages. But Obama has long advocated a pair of trade agreements with the EU and nations in Asia, saying they will create millions of jobs through a vast expansion of US exports. T.J. Kirkpatrick/Getty ImagesSen. Jeff Sessions. A coming Republican Senate will also make Obama more likely to take executive action quickly on immigration, something he delayed until after the elections. The only question at this point is when, not if. Many analysts expect Obama to announce his executive action before Thanksgiving, and certainly before Congress breaks for Christmas. 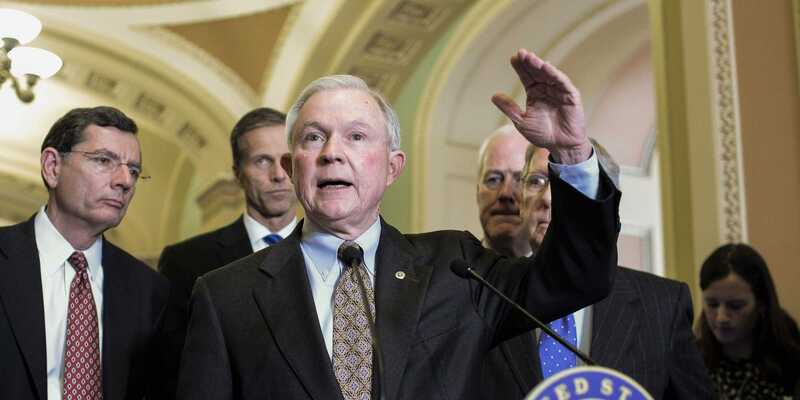 Either way, Obama’s actions will face heavy pushback from Sen. Chuck Grassley (R-Iowa), the likely next chair of the Senate Judiciary Committee, and Sen. Jeff Sessions (R-Alabama), who will likely take over as chair of the Senate Budget Committee in the GOP Senate. Senate Republicans have stepped up their warnings to the president over the past two weeks, as the electoral map began looking better and better for them. “The President is assuming for himself the sole and absolute power to decide who can enter, work, live, and claim benefits in the United States. 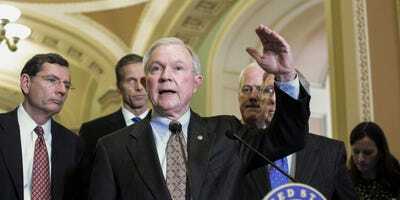 He has exempted virtually every group in the world from America immigration laws,” Sessions said in a statement last week. Then there’s the ever-ambiguous issue of tax reform, which has been floating around Washington for virtually all of Obama’s term. It will figure even more prominently next year as it will be a priority for Republicans who think a revamp of the corporate tax code is essential to boosting economic growth. Rep. Paul Ryan (R-Wisconsin), considered likely to be the next chair of the House Ways and Means Committee, has put tax reform high on his list of issues to tackle. 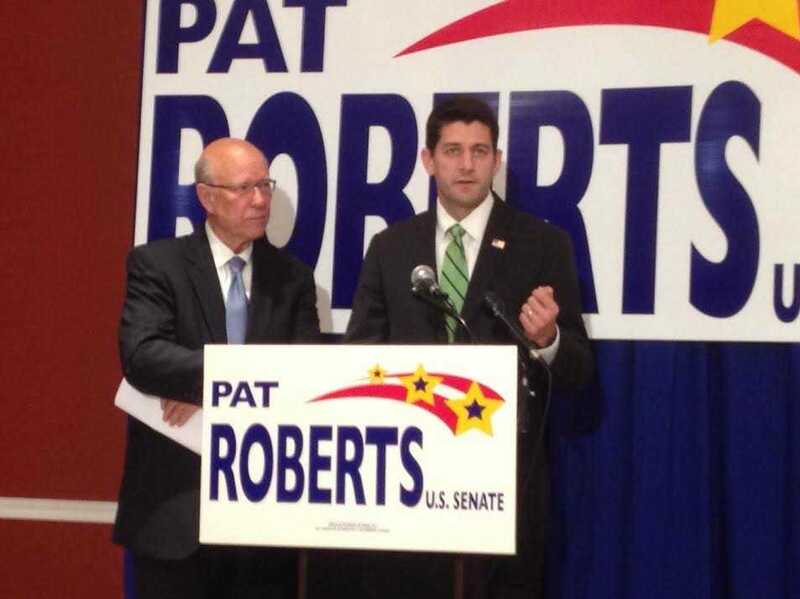 At a recent campaign stop with Sen. Pat Roberts (R-Kansas) in Overland Park, Kansas, Ryan told Business Insider he and Hatch, the likely next chair of the Finance Committee, would work to come up with a proposal by sometime next year. Three of Obama’s nominees to the powerful US Court of Appeals for the D.C. 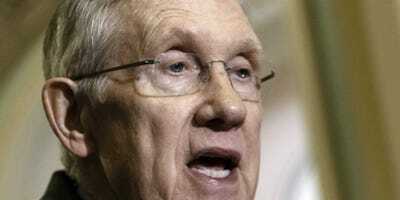 Circuit were confirmed last year after Reid changed the Senate’s rules. Thanks in large part to Obama’s appointments, Democratic-appointed judges now hold a majority on nine of the country’s 13 appeals courts. When he started his term, Democrats had a majority on only one of the courts. Any challenges to Obama’s new policies could end up in the D.C. Circuit Court. With a Democratic majority now sitting on the court, those challenges are more likely to be dismissed. A full D.C. Circuit Court panel also agreed to rehear a significant case related to Obamacare after a setback to the law by a smaller, Republican-skewed panel on the court. But a Republican majority will put a significant dent in Obama’s ability to reshape the federal judiciary. According to data from the group Alliance for Justice, there are 56 total district and circuit court vacancies without nominees. Congressional scholar Norm Ornstein of the American Enterprise Institute wrote this March that he expects Republicans to confirm virtually none of the possible nominees if they take control.